Pipe leaks should be dealt with as soon as possible. 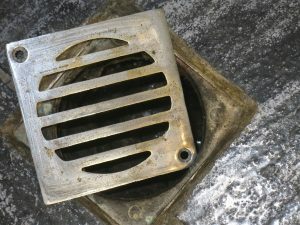 Since it isn’t possible to see the issue until the source is found, it can be difficult to determine how bad the leak is. Leaving it for too long will result in the leak spreading and creating more problems along the way. That’s why we’re happy to offer sewer line cleaning in West Los Angeles, CA, and nearby areas. We use top quality equipment and repair methods so our plumbers can fix every problem they come across. For fast and effective cleaning, we offer hydro jetting service to deal with difficult debris buildup. We recommend getting an occasional sewer inspection done as preventative maintenance so you never have to worry about finding a flood on your property or a water bill that has gone through the roof. Our plumbing experts are trained to offer the best solution every time so our customers always get great service at an excellent price. We use camera inspections as a simple and clean method of checking for problem in pipelines without rooting around in the yard or taking up flooring. It provides us and the customers a detailed look at potential issues and simplifies finding the best solution to fix it. If a pipeline requires repair, we offer different services based on how complicated the break is and what your budget is. A replacement of a piece of pipe requires exposing the pipeline and removing the affected pipe. This makes the repair more costly because of the need to dig around the pipe messing up your property. Another option is relining the pipe. It is a simple method of repair done through the pipeline with little clean up afterwards. For sewer line repair in West LA and Pacific Palisades, contact us today! We are determined to provide our customers with honest, quality service that they can count on for any kind of repair. Get in touch with us to find out more about the plumbing services we provide. Updated on June 15, 2016 at 2:58 pm by Sunset West Plumbing & Rooter.